Our lawn is looking pretty tough right now. I’m not one for doing much watering, but unless the Lord sends some much needed rain, I may just have to water a bit. I have watered some spots, but I try not to water any more than I just have to at this time. Vicki wants our lawn green, but right now it just doesn’t look like it will be like it was last year. I will continue to watch it and do a little along the way, but I just don’t know how much water I can justify putting on our lawn. Right now it just seems like the weeds have really taken off. I am trying to stay on top of them at the house, but it is tough. As I make my way around town, there are others that are having the same issues that I am. That got me to thinking. Weeds are low maintenance vegetation. You don’t have to do anything to them and they will grow. In fact, they will not only grow, but they will take over a certain area if left alone. It amazes me when I see how the weeds grow if left unchecked. As I thought about weeds in the lawn, I thought about sin in our lives. Each of us has been at a point where sin has risen in our lives. Sometimes it is when we are experiencing a time of spiritual struggle. We have a desire for our lives to be ‘green and lush’ but the spiritual nourishment is just not there. At other times we find our spiritual lives overflowing with the blessings of God. We seek to follow Christ in every way and at all times. Then we become negligent about addressing the sin that begins to arise in our lives. In fact that sin may grow so quickly that it has us snared before we actually realize it. 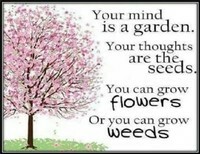 In that same way, we don’t have to plant new weeds to grow in our yard they just come up. We don’t have to fertilize them they just multiply on their own. Weeds see to multiply even when there is a lack of moisture. To live a life surrendered to God is tough. The battle between sin and righteousness will rage on as long as there is life. To win in the battle over sin we must hold to the truths of God’s word; we must pray at all times and about all things; and we must call out to God for deliverance. The reality is that most of us need to get in and do some spiritual ‘weeding’ in our lives. Often times we just let things get away from us until we find ourselves struggling in unconfessed sin. 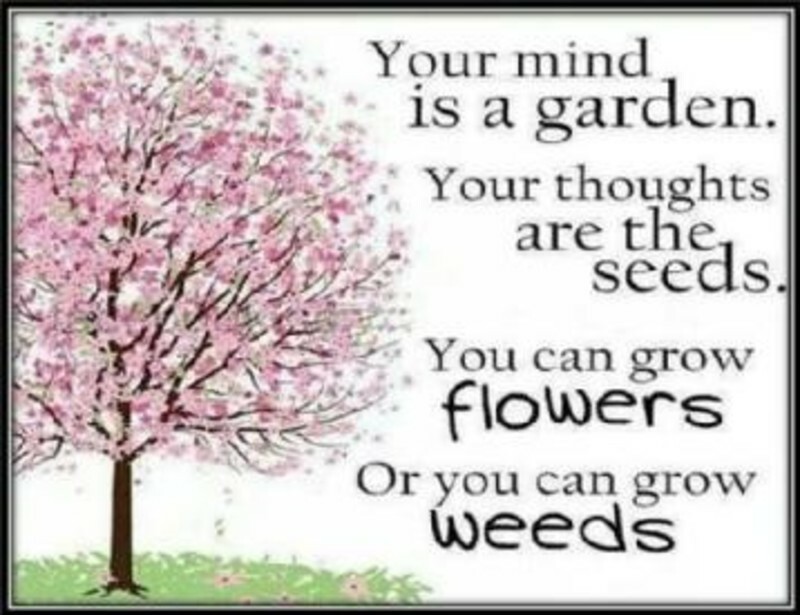 It seems to me that it would be better for us to ‘weed’ on a daily basis and then we wouldn’t have to deal with those ‘BIG weeds’ that can grow up. So to be ‘weed free’ let your heart be set on the Spirit that is life and peace.